Hacking is serious business for some folks. They hack into supposedly secure platforms and go on an information looting spree. Major banks, hospitals, and, recently, social media platforms have been victims. You will probably not know you are a victim until you receive your statement at the end of the month. By that time the thief is long gone and your financial nightmare is just beginning. It can take months, even years to clean up your credit after you’ve been the victim of identity theft. 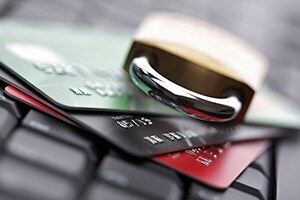 With our Platinum ID Protector Plan at Countrywide Pre-Paid Legal Services, Inc., you will have access to all the tools you need to monitor your credit to prevent identity theft as well as repair your credit history after a breach of security. Free Customer Support to answer questions about information found on consumer credit reports, how to correct any inaccuracies found on a credit report, how to file a credit dispute and more. In addition, you will also receive $500 per week for lost wages (for up to 4 weeks within the first 12 months of discovery) upon approved claim. Best of all, there is no deductible to pay. What you also get, at no additional cost to you, is superior customer service. Countrywide understands how panicked the victims of identity theft become. When you use the Customer Support, you will be connected to someone who will treat you with respect and empathy. You will receive the information you need to bring a serious emergency to a close. That is a benefit everyone in this cyber-age needs when hackers are poised to strike.